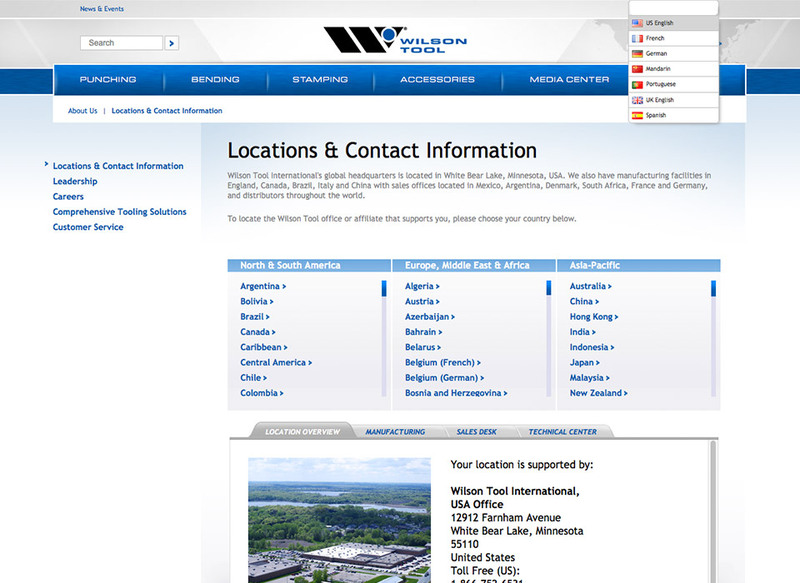 Wilson Tool is one of the largest independent manufacturers of tooling systems for punch presses, press brakes and punch and die components for the stamping industry. 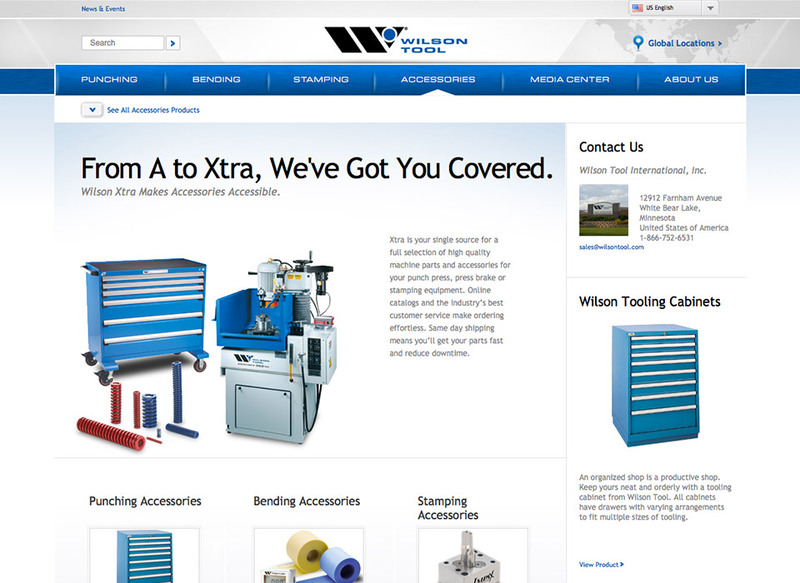 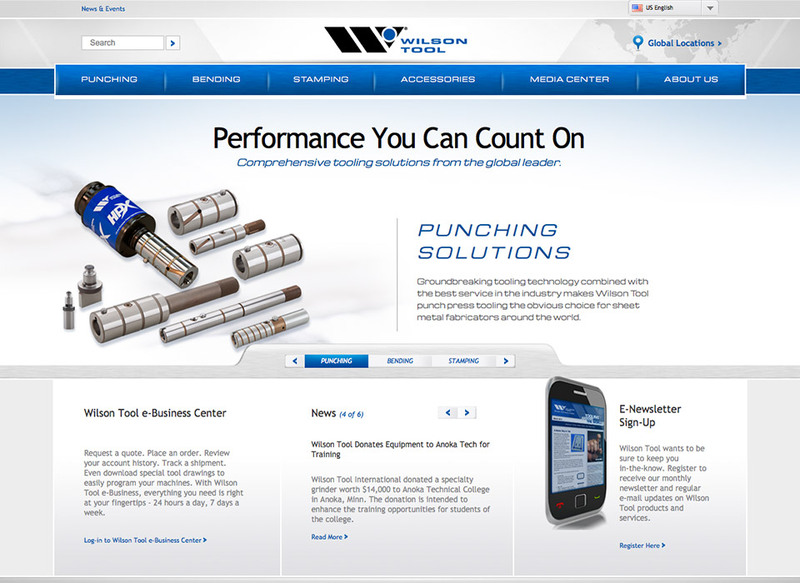 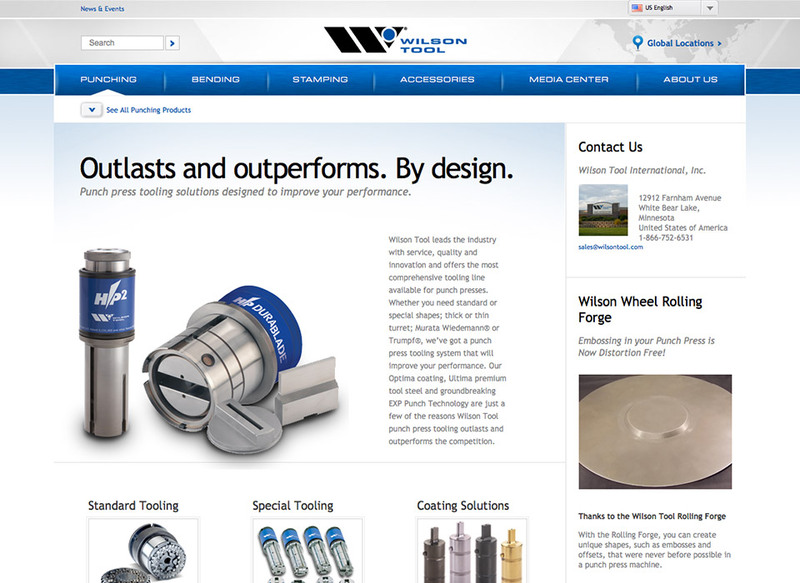 Wilson Tool approached us to redesign their global website. 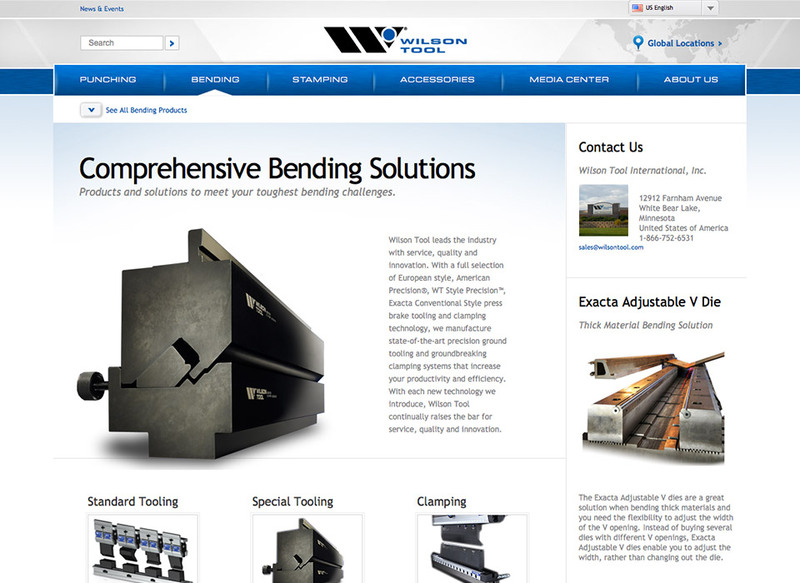 The website features a large catalog with products and accessories for punching, bending and stamping metal. 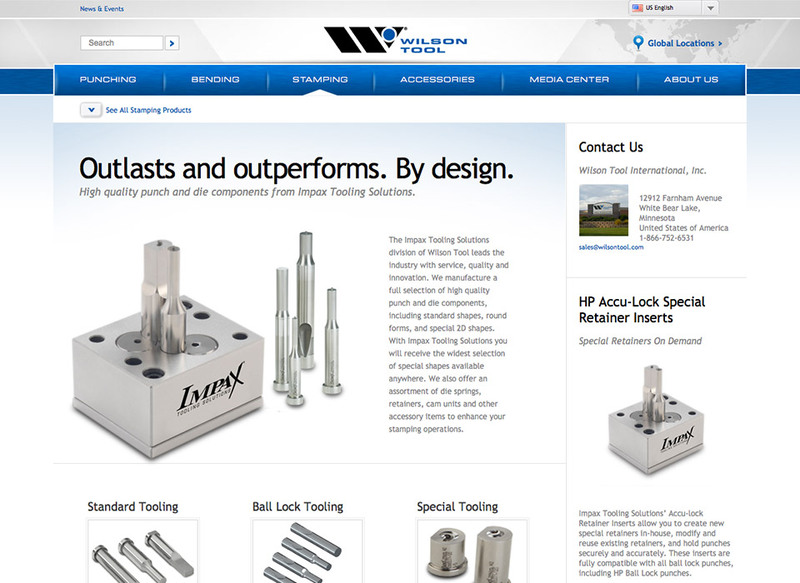 A media center enables users to access catalogs, flyers, brochures, videos and newsletters easily. 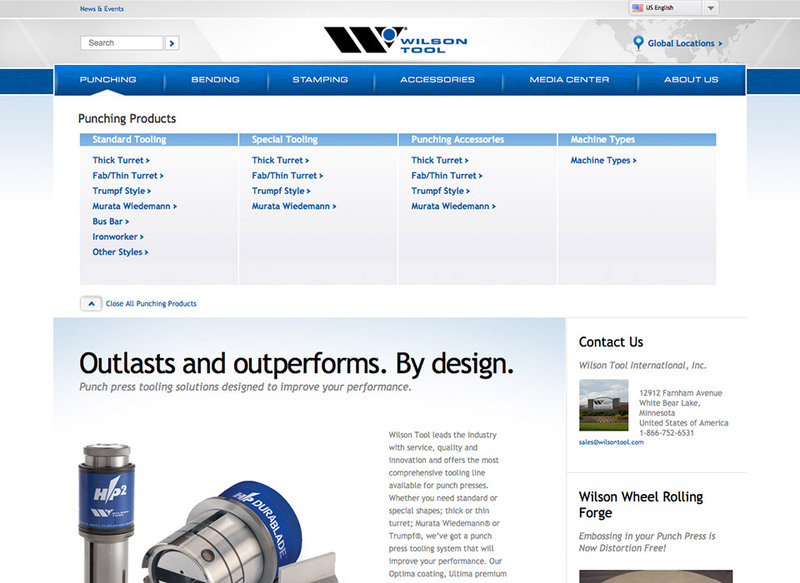 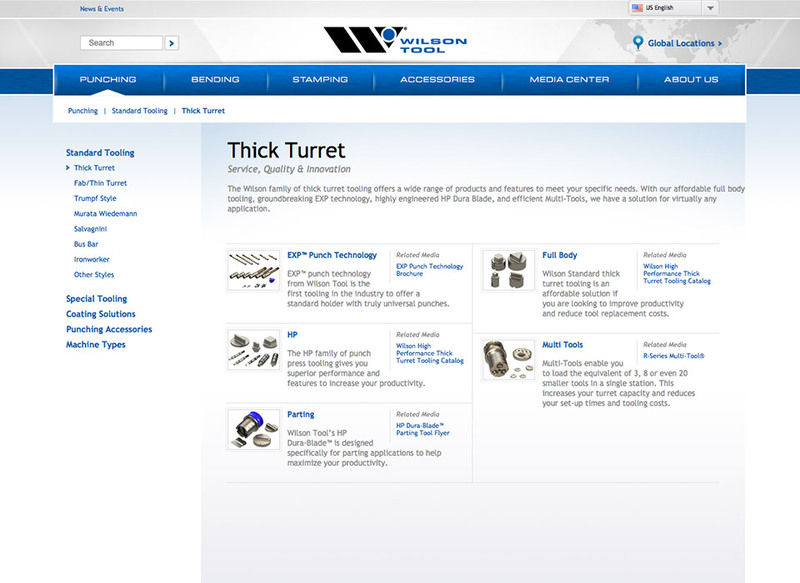 The website provides content in 7 languages which is managed by Wilson Tool via a CMS.